On Sale! 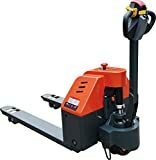 Up to 9% off on Pallet Trucks at Verified Contractor Service. Top brands include Certified Scale, Vestil, Mighty Lift, MEILESTONE, Prime Scales, & Eoslift. Hurry! Limited time offers. Offers valid only while supplies last. 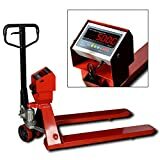 Mighty Lift ML110 Heavy Duty Super High Pallet Jack/Truck, 11000 lb Capacity, 27" x 48"
Eoslift M20L Super Long Pallet Truck Jack, 4400 lb.